Plantation Window Shutters Bodmin by Just Shutters. Covering Bodmin and the surrounding areas, your local shutter expert Andrew Cook provides the largest range of styles and finishes, the highest quality products and a lifetime guarantee! Call us on 01872 306442. 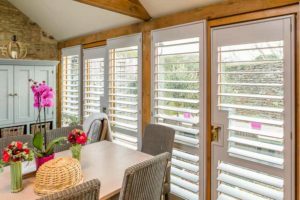 Just Shutters offer an extensive array of options to suit any taste and style, from tier on tier, to full height or cafe style, we have options to suit any shape or size window or door. Our choice of materials, louver sizes and finishes give you complete control over your finished look, and mean that whether traditional or modern, bold or subtle, we have the perfect shutter solution for you. Our expert shutter designers are here to listen and advise, creating unique, beautiful and simply perfect shutters. 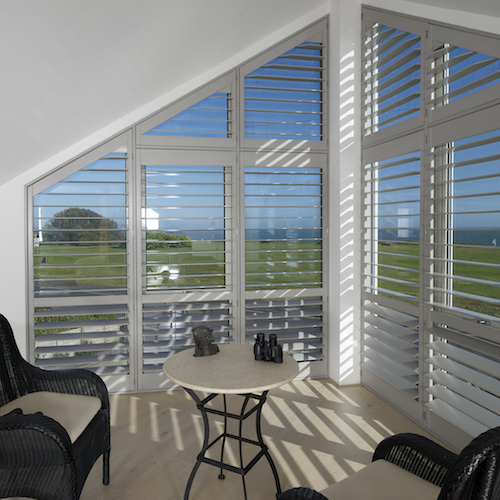 We would be delighted to help you further and answer any questions you may have, you may also like to download our brochure or view our extensive picture galleries to get a sense of how our shutters will look in your home. Shutters are not just beautiful, they offer long term value, please call Andrew, your local shutter expert to arrange an appointment, 01872 30644. Here are just some of the wonderful reviews we have received. Please see checkatrade.com for over 1400 more! Shutters to lounge, kitchen, diner and bedroom. Study, music room. Plantation shutters fitted throughout the house. Shutters on two bay windows and bathroom.